WELCOME HOME TO 691 S. BARRY! 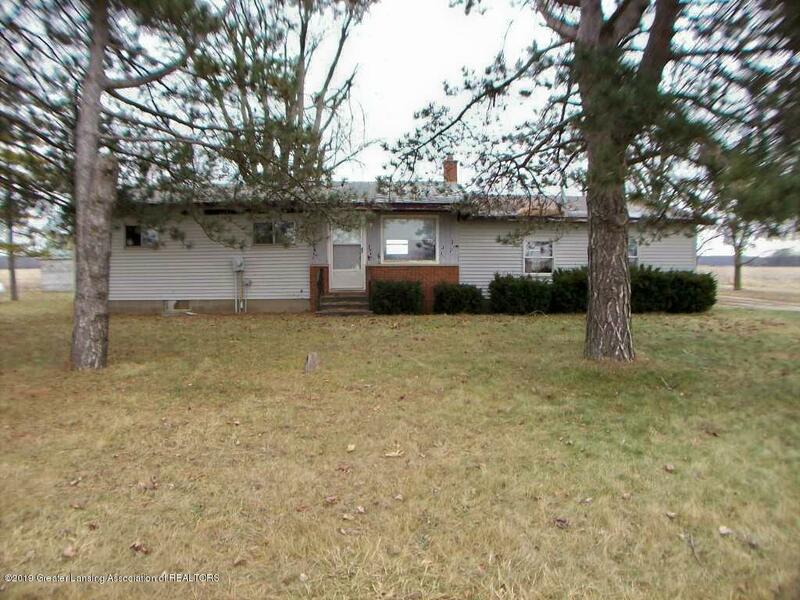 THIS 2 BEDROOM HOME HAS LOTS TO OFFER INCLUDING A BEDROOM WITH AN ATTACHED FULL BATH, 1ST FLOOR LAUNDRY, A HUGE GREAT ROOM WITH ENDLESS POSSIBILTIES, A FULL DRY BASEMENT READY TO FINISH FOR MORE SPACE IF NEEDED, AND 1.38 ACRES OF ROOM TO SPREAD YOUR WINGS AND PLAY! PRICED TO SELL AND WILL NOT LAST LONG! OWN FOR LESS THAN RENTING TODAY! CALL NOW FOR YOUR PRIVATE PREVIEW!